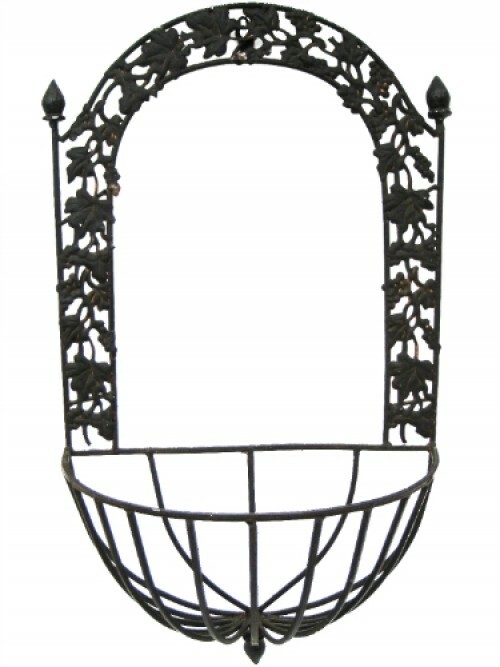 Mount this brown wrought iron wall planter on your garden wall or in your sunroom to display beautiful real or faux flowers. This framework features leaf accents with pointed corners on top and bottom for definition. This planter has previously been displayed but is still in good overall condition.